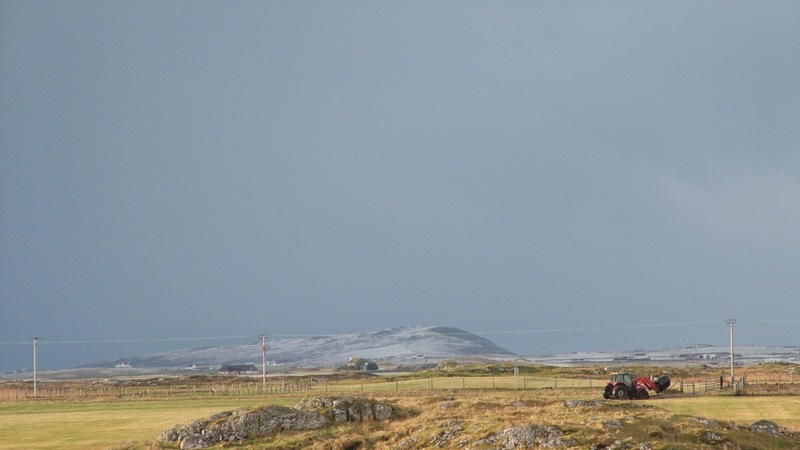 Tiree is an island of two halves. the West has a modest covering of snow. 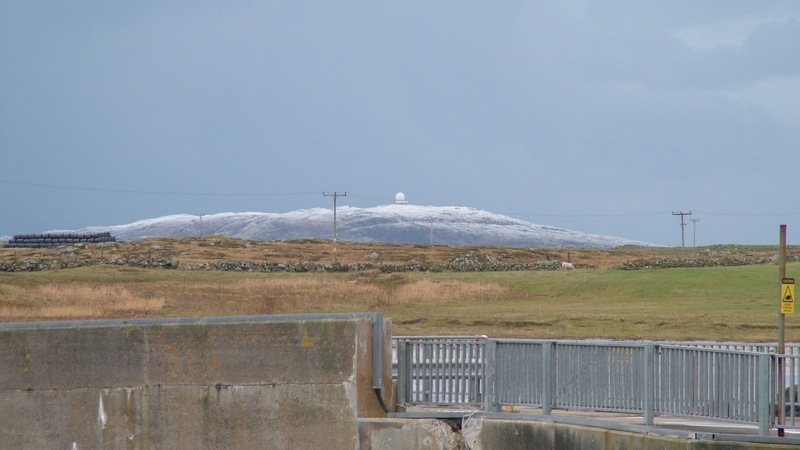 both Ben Hynish and Kenavara are snow capped. 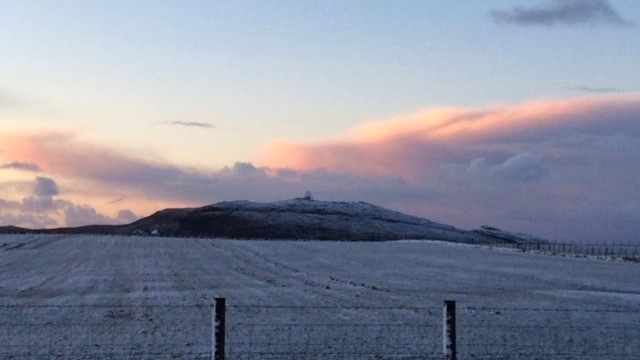 And from our own correspondent in Heylipol this view of Ben Hynish. Here the sunrise is reflecting on the clouds surrounding the Ben. One last look back at Ben Hynish from the Pier as today’s ferry heads out to sea. The View from the Pier at Scarinish. it is clear that Sandaig had a good covering of snow. What else can you spot?- I spy the surgery at Baugh. Yes! This is ‘Life On Tiree’.